A scar is the marking that remains after tissue damaged from a cut, burn, or other wound has healed. The most familiar scars appear on the surface of the skin, though they also can develop on tissues located inside the body. Scar formation is a natural process that results from replacement tissue being somewhat structurally and functionally different than the original tissue that was injured. 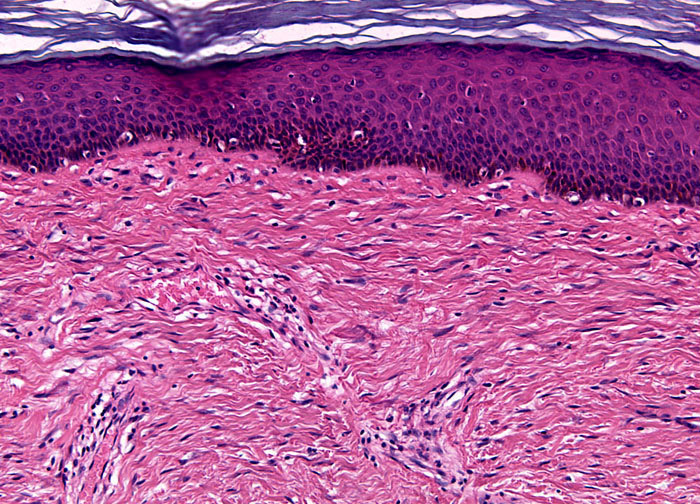 Produced by fibroblasts, scar tissue is predominantly composed of fibrous connective tissue made of collagen and is typically thicker, denser, and paler than surrounding tissues. The poor elasticity of scar tissue can limit movement in areas of the body that were extensively damaged, and the lack of oil glands in the inferior tissue is sometimes associated with itchiness or irritation.